The quest for promotion to Kenya’s top tier begins in earnest on Saturday 8 November when the 2014/2015 Kenya Rugby Union Nationwide League kicks off across the country. The Nationwide League serves as the pathway to the Kenya Cup and will this season be contested by a combined total of 62 teams playing in 5 regional leagues across the country namely Central, Coast, Nairobi, Rift Valley and Western. 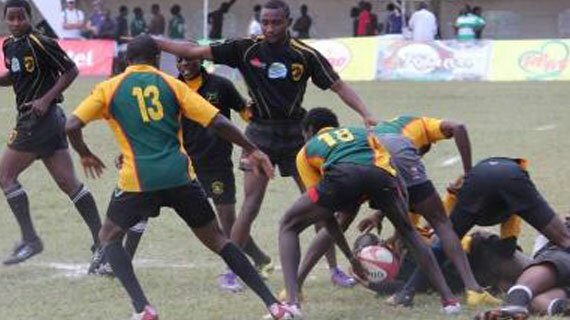 The top two sides from the Nairobi, Rift Valley and Western leagues join the winners from the Central and Coast leagues in the national quarter final playoffs with the sides that eventually make the national final securing Kenya Cup qualification at the expense of the bottom two sides from the top tier. Kisumu and Eldoret will be keen to make a quick return to the Kenya Cup after dismal performances last season earned them the chop and life in the second tier will certainly be no walk in the park as every one of the participating teams has their eyes trained on promotion. Thika won the Central league last season and managed to reach the national semi finals, falling to eventual winners Kabras Sugar in Kakamega. They start the new campaign as favorites to defend their title and clinch the sole quarter final berth from this pool which features eleven teams. Their biggest threat will very likely come from KeMU and Laikipia. Spartans and Technical University of Mombasa (TUM) start as favorites to dominate the nine team league and fight for the sole slot to the national quarter finals at the close of round robin play, moreso after Masaku and Stormers were moved to the Nairobi league. Sixteen teams spilt in two pools of eight teams each vying for the two national quarter final slots available from this region. This will be a very competitive league, with USIU, TUK,Masaku, Stormers and Daystar likely to be the sides to fight it out. The presence of Impala and Mwamba’s third string sides make it all the more interesting. It will not be lost upon many that Impala III actually finished last year’s Nairobi league second overall but were ruled out of the quarters on a technicality. They will still light up this league. Eldoret RFC and Egerton will be the favorites to emerge successful from this region but they must first assert themselves during their preliminary fixtures. Fourteen teams, two national quarter final slots up for grabs. This is yet another competitive regional league. Kisumu RFC, relegated from last season’s Kenya Cup start as odd-son favorites to top the log but will have to ward off the attentions of Bungoma, Kakamega, Shieywe and Masinde Muliro.